Hashtags on social media can be used as a means to draw attention, to organize, and to promote. Popularized on Twitter they’re the perfect way to help your audience find, follow, and contribute to a conversation. Facebook is still the most used platform for social media. The Independent reports that if Facebook were a country it would now be the third largest in the world, behind China (1.34 billion) and India (1.2 billion). Yes, you should use hashtags on Facebook. Every hashtag appears as a clickable link! Adding that third hashtag causes a significant drop in interactions so you need to fight the urge and save the long list of hashtags for Instagram, where people love them! For years, marketers and brands failed in harnessing the power of Instagram, but now that’s all changing. Why is it changing? It might have something to do with the fact that the top brands on Instagram get 58 times more engagement from users than Facebook and 120 times more engagement than on Twitter (Hootsuite). Instagram is unique in the fact that it allows brands to engage directly with customers. Instagram is all about the hashtags but there are strategies that help. 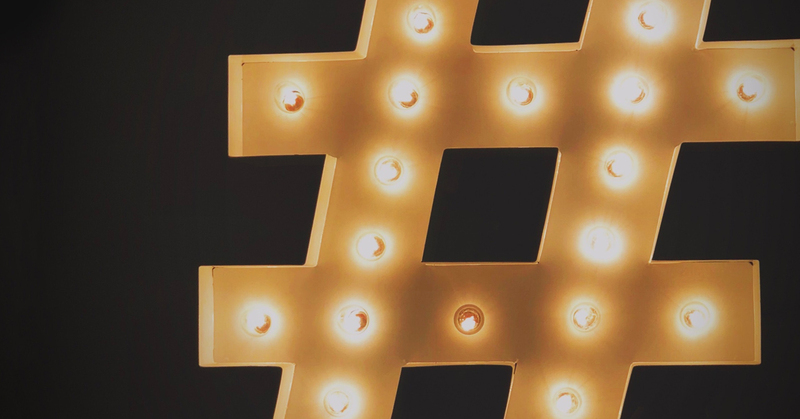 Community hashtags are great capital- monitor what hashtags other influencers in your industry are using as well as what your followers are using. These hashtags link like-minded people and introduce them to posts they may not see. Throw in other community-minded hashtags to show up to people who will find your posts interesting. Using your brand as a hashtag is fine but you won’t gain anything unless other people are using it too. Let’s say you’re a restaurant specializing in Martinis. Using #martini and #martinirecipe are a good start. But are there other hashtags that can bring you to more users’ attention? Absolutely. People are fast, often furious, and share snippets in fewer than 280 characters. That means folks who are using Twitter have something to say, and say now. Radcliffe & Co. Tip: Maximize your 280-character limit by eliminating unnecessary words. If you use like “have” and “is” and “be”, you can tighten your sentences. Get more in your tweets by shortening all links using a service like bit.ly. For Twitter skip the hashtag. A study by Locowise found that Hashtags don’t have any effect on engagement. Also, tweets without hashtags outperform those that include them. It’s really not that confusing when you think about it as a way to group conversations or topics. If you want to learn more or would like to work with Radcliffe & Co. send us a message or give us a call at 724-209-7852! It's so easy, even your mother can do it?